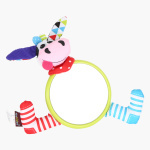 A lovely buy for your little one, this baby-safe mirror toy comes with many surprises. This mirror features a beautiful cow friend with different textures. On the back side, it has a teether and a hidden ball with a rattling effect. 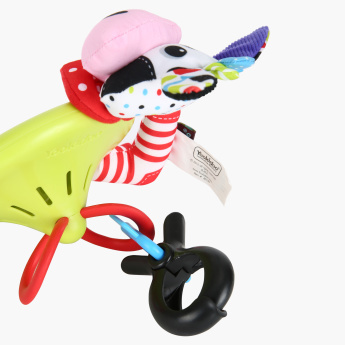 The large alligator clip helps to easily attach it to your baby’s crib or stroller.